Recently I got a bunch of old negatives scanned at ScanCafe.They were pictures that I had taken on a very inexpensive camera when I was between six and eight. 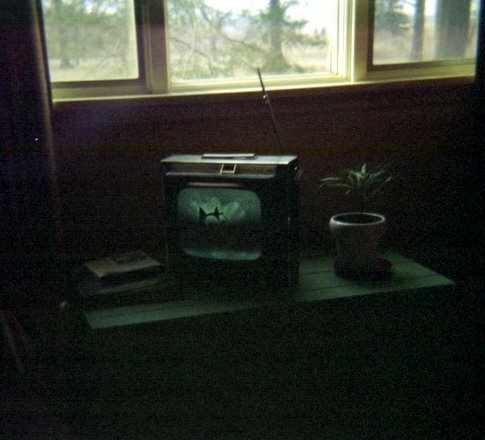 Today I'll share with you my adventures in photographing the TV. The image below shows our first color television. 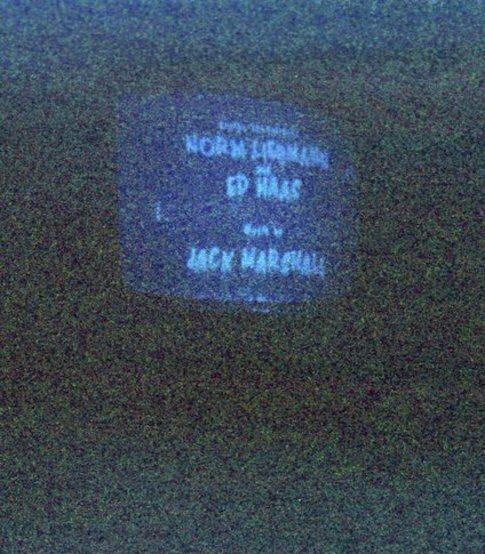 If you look closely at the screen, you'll see that the program being aired is The Munsters, with Lilly and Herman in bed. Clearly the first photo is the winner, although you can still clearly see the contents of the screen in the second, which is the end credits to the Munsters. It is truly astonishing to me how blind that camera was without a flash for indoor photography. 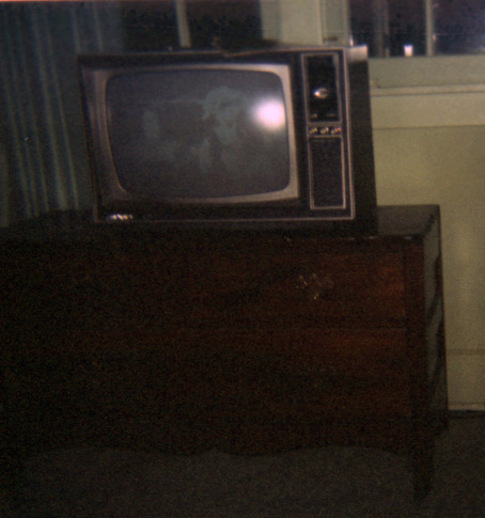 This final photo (of another TV set in the house) was a decades-long mystery to me. The original print was not clear enough or large enough for me to ever be able to determine what was on the screen. It looked like some sort of odd tropical fish. Once I saw the 21st-century scan of it, I very quickly recognized it for what it was. Can you identify the program?